Safe and effective for all ages and initiates healing by harmonizing resonant frequencies at a cellular level. Scanning provides a wealth of information as to the overall body condition. This is most useful for those who have chronic issues, whole system imbalances or fatigue and can’t quite pinpoint the cause. Biofield Tuning is a frequency balancing therapy method using tuning forks – that works with the power of sound and the human biofield to help alleviate conditions such as pain, anxiety, insomnia, PTSD, emotional overwhelm, digestive issues, adrenal fatigue and more. 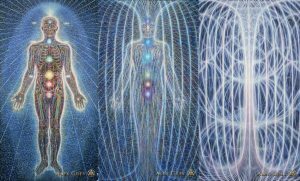 Biofield Tuning is based on the premise that the human biofield – the energy field that surrounds and permeates our bodies – is inextricably connected with our conscious and subconscious mind, including all of our memories. 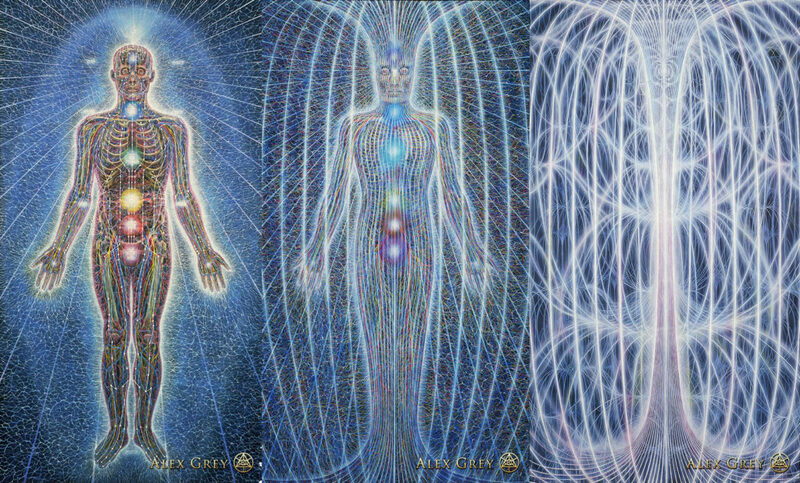 All physical, mental and emotional disorders can be perceived as “dissonance” in our energy fields. Biofield Tuning is able to diminish and resolve this dissonance and in doing so, alleviate and even eradicate the corresponding physical, mental and/or emotional symptoms. Integrative Energy Healing is born out of an understanding of the form and function of the energy body, and the practitioners intuitive ability to facilitate healing and integration within the energy field. Special attention is given to the Aura, Chakra system, Nadi system, Vayu’s, and the unique energetic signature of the individual undergoing treatment. The energy body is like a sea of energy within the greater ocean of universal energy. Likening the Aura to a sea of energy, the Chakra’s are the main vortices directing current flow, the Nadi’s are the currents and the Vayu’s are different movements of the flow within that system. This flowing field of energy is an interface between the physiological, psychological, emotional and spiritual aspects of the individual in relation to their environment. This energy system is harmonized through the practice of Energy Healing. The Integrative Energy Healer uses hands on and hands off energy channeling techniques. They may also incorporate various shamanic techniques, including chanting, dousing, the use of plant or crystal energies and ritual to promote healing. It is a subtle yet potent form of healing that works to restore the fluid functionality of the energies within the body and being. Past Life Regression is the first component of the QHHT technique and involves the individual being regressed and guided through an appropriate past life from the first scene they first view, throughout the various periods of the life and eventually through to the death scene. The Subconscious will select what past life to show the individual and they will be guided through it by the QHHT practitioner conducting the session. The past life the Subconscious chooses to show an individual is always relevant to the current life the individual is living now and it is not uncommon for multiple Past Lives to be shown during a single session. The QHHT practitioner will navigate an individual through a Past Life using a series of questions to help determine the time period and social setting of the life. Quite often the information shown are what’s blocking a person from moving forward in their current life, so there is usually a theme the past lives show that have meaning for the person experiencing them. There is also a component for potential Healings, both physical and emotional, that have been experienced by many. The Healing process can continue to process even after the session is over, and a person may notice subtle to dramatic shifts with their body and mind /outlook on life. Coming with an open mind, clear intent, and giving yourself permission for healing to occur is essential. You may also bring in a list of questions (up to 10 questions) that can be asked during the session in order to gain deeper insight on anything you are wanting to ask your subconscious or higher self, which is connected to the universal Oneness & akashic records. Pronounced “Ray-Key” is a Japanese word for “Universal life-force energy.” This relaxation technique uses a light laying-on-of-hands for balancing, healing, and harmonizing the flow of energy through the chakras or energy centers. Reiki can assist the body’s natural ability to heal itself and can also be used to encourage personal and spiritual awareness or growth. Intuitive hands on and off the body scan for imbalances and/or disharmony within the energy systems of the body. A Reiki session is deeply relaxing and feels like a wonderful glowing radiance that flows through and around you. You may experience sensations of heat, tingling, an overall sense of warmth, tranquility and comfort which allows you to deeply relax your mind, assisting your body’s innate healing wisdom. Reiki fills you with divine, warm, healing energy and flows through a sick or unhealthy area, breaking up any stagnant energy that isn’t serving in the person’s best interest. Reiki helps by washing away any negative thoughts or feelings that get lodged in the unconscious mind/body. These unconscious thoughts and feelings can cause us the greatest problems, as we are usually unaware that they even exist, even though we can feel the symptoms of their disharmonies: such as depression, sadness, anxiety, fatigue, anger and pain. Reiki creates a healthy flow of energy within your body, leaving you feeling charged, aligned, strong, confident, and balanced in mind, body and spirit.